Earlier last month, Klopp had cited that Coutinho was suffering from a back problem, but the playmaker was surprisingly picked for the Brazilian national squad. The 25-year-old scored a stunning long-range effort in the 2-0 triumph over Ecuador on Friday, thus leading to suggestions that he was not suffering from a stress-related illness. 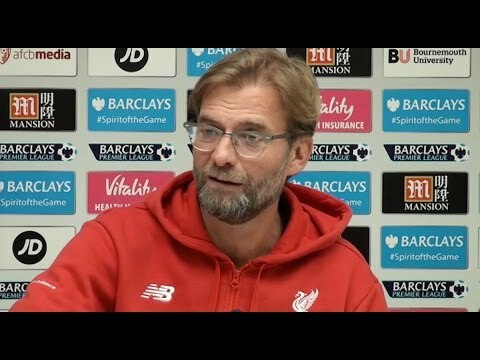 In an interview with German outlet Sport1, Klopp confirmed that the player's situation will be sorted out with the transfer window having come to a close. He added to hint that the attacker could feature for the Reds in the coming games, possibly starting from the league clash against Manchester City on Saturday. He said: "Don’t believe everything in the press or that there are offers here and there and that the minute after the offer has been entered, it should already be over. We are not like George Orwell where everybody knows everything immediately. We have exactly the situation we wanted and no other. Dortmund decided the player [Ousmane Dembele who joined Barcelona over the summer] would leave them, so I cannot compare the two situations. We still have a really good player in the squad who can play." In contrary to Klopp's comments, Coutinho is said to be devastated at missing out on his dream move, and he was spotted crying shortly after Brazil's victory over Ecuador. The former Inter Milan had also submitted a transfer request to push through a move, and it will be interesting to see how he reacts on his Anfield return.